LOS ANGELES (AP) — Women and minorities are largely shut out of the ranks of TV series directors in a stubbornly unchanged pattern of hiring, according to a Hollywood guild study released Wednesday. The Directors Guild of America report said that employers have made no significant improvement in diversity among TV directors in the last four years. White males directed the vast majority of the more than 3,500 cable, broadcast and high-budget online episodes made for the 2013-14 season, according to the study. 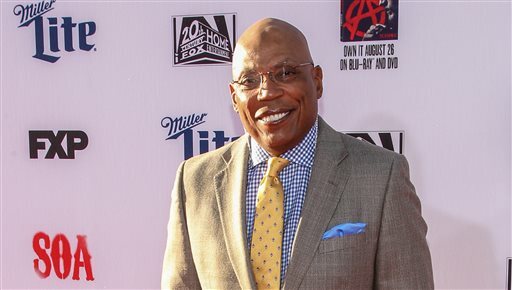 In a statement, Directors Guild President Paris Barclay said it can be “shockingly difficult” to persuade those who control industry hiring to make even small improvements. Major broadcast networks ABC and Fox did not respond to requests for comment, nor did HBO, and NBC declined comment. In a statement, CBS said it has demonstrated its commitment to diversity with initiatives across the network and in “all aspects of our business,” and it works closely with the guild on the issue. “It should be noted this report concerns numbers from the previous season, and we are already seeing an increase for our 2014-2015 season,” the network said. Last season, 69 percent of all TV episodes were directed by white males, with 17 percent directed by minority males and 12 percent directed by white females, the study found. Female directors made no gains in hiring last season compared to the year before. A 3 percent increase in the episodes directed by minority males can be attributed to work done by Tyler Perry on three series that he also produces, the guild said. Minority females were the least-represented among TV directors, representing only 2 percent of TV series directors.